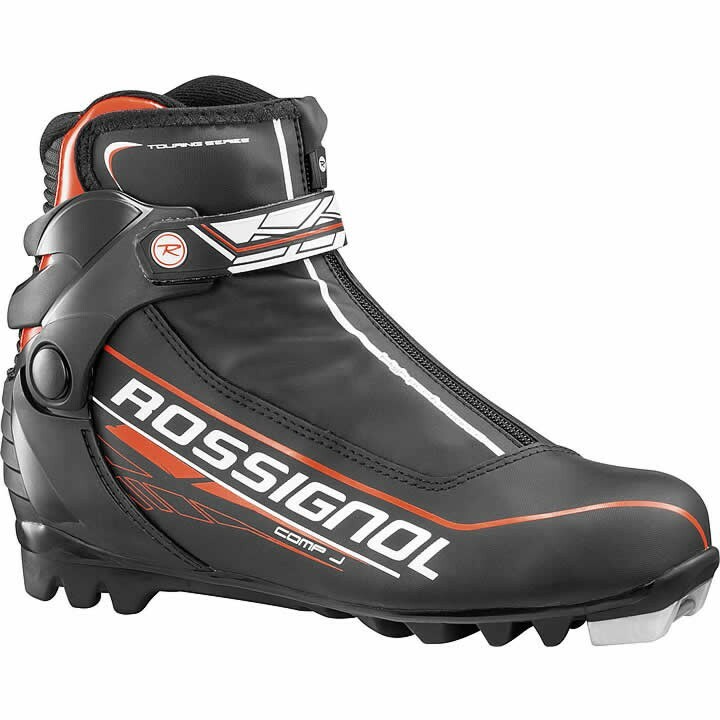 The new Rossignol COMP J is a warm, easy-to-use nordic boot for introducing junior skiers to skate and classic skiing. A free-hinge cuff with velcro powerstrap and enhanced junior fit provides better foot wrapping and support for increased comfort and warmth. The Comp J allows a more natural foot roll for a fun, easy and comfortable introduction to skate or classic skiing. WC Speed Lace Lock: Rapid, easy closure for better support and more precision. Adjustable Strap: For more support and control.